Revenue Department, Raichur Jobs Recruitment Notification 2019.Revenue Department, Raichur District inviting applications for the positions of Village Accountant.Interested and Eligible candidates can apply for the positions. Selected candidates will get 21400-42000/- Per Month from the organization. 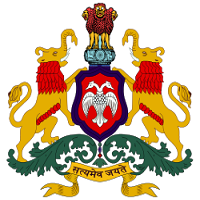 Look around for “Raichur District Recruitment 2019 for Village Accountant Posts“.